NEW YORK -- Some iPhone users are not happy that U2's new album, "Songs of Innocence," was automatically added to their iTunes music library, free of charge. In response, Apple has released a special tool that lets people remove the album from their collections. 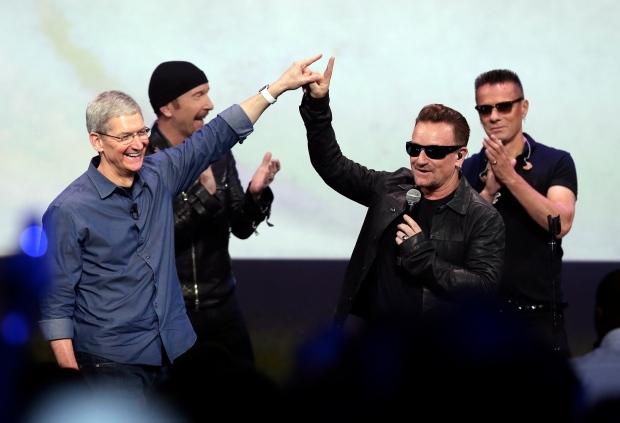 U2 played at an Apple event last week that included the unveiling of the iPhone maker's new smartwatch and updated iPhone models. In a surprise move, the Irish rock band performed at the event and put out its 11-song release. Apple CEO Tim Cook announced that the new album would be given to the company's 500 million iTunes users. The release showed up in users' iTunes music libraries. The company said Monday that 33 million iTunes account holders have accessed the free album. But some iTunes users took to Twitter to complain and ask how to remove it. While it was already possible to delete the album, Apple's tool makes it possible in one step.